ACTSI researchers Adam Marcus, PhD and Theresa Gillespie, PhD are the recipients of the Science Education Partnership Award (SEPA) from the National Institutes of Health (NIH). The five-year award, totaling nearly $1.2 million, will create the Center for Advancing Health and Diversity through Citizen Science at Emory University and partner with Morehouse School of Medicine and Georgia Institute of Technology through the Atlanta Clinical & Translational Science Institute’s (ACTSI) Community Engagement Research Program. "Citizen Science is an approach to scientific research in which the general public, including students, collects and analyzes data for specific projects in collaboration with professional scientists," says Marcus, associate professor, Department of Hematology and Medical Oncology, Emory University. 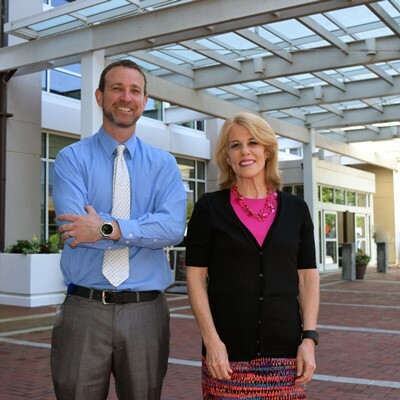 The SEPA allows Gillespie, who is a professor in the Department of Surgery and Department of Hematology and Medical Oncology at Emory University, and Marcus to create and disseminate the Citizen Science Health and Diversity (Citizen Science HD) curriculum to not only enable citizen science in the classroom, but provide the students an opportunity to impact human health and their own communities. Targeting the entire state of Georgia, which experiences high rates of cancer and chronic diseases as well as disparities, the SEPA grant will focus its efforts on urban underserved and rural schools, and students who are underrepresented in science, engineering, technology, and math (STEM) subjects, including girls and minorities. The Citizen Science HD program encompasses three main components: after school STEM, a national Citizen Science STEM curriculum, and outreach throughout Georgia. It is estimated that Citizen Science HD will impact thousands of students in Georgia, the U.S., and globally through projects such as pollen counting and the effect on pediatric asthma; mapping food deserts and their role in community obesity and chronic disease rates; and using Big Data to answer research questions. “We are eager to spread the word and get schools, teachers, communities, students, and other potential collaborators excited about this wonderful opportunity to promote STEM among underrepresented students and communities throughout Georgia and beyond,” says Gillespie. This award partners with the Georgia Department of Education; ACTSI; Winship Cancer Institute; the Emory chapter of the Association of Women in Science; and other Emory investigators. Visit citizenscienceHD.com for more information and follow along on Facebook, Twitter and Instagram. Read more in the January 2017 issue of Georgia Magazine.